Barcelona appear to have intensified their pursuit of Philippe Coutinho by approaching Liverpool with an eye-opening first bid for the Brazilian. The Spanish side have followed up apparent interest by making an initial offer of £72million for the 25-year-old, according to the Liverpool Echo. This was subsequently met with an immediate rejection by Liverpool, who are standing firm in their stance and remaining adamant that their star man will be going nowhere. Coutinho finds himself somewhat central to Jurgen Klopp’s long-term plans on Merseyside and has himself given fans good reason to believe his heart is at Anfield having signed a new five-year deal back in January. Delivering silverware and bringing success to the club represents the No.10’s primary focus, thereby dismissing suggestions he would be keen on a move elsewhere. Paris Saint-Germain have also reportedly expressed an interest in Coutinho, although that has similarly been rebuffed by the Reds. The £50million Manchester City paid for Kyle Walker makes the £72million offer for Coutinho seem incredibly low, especially when considering his world class potential. 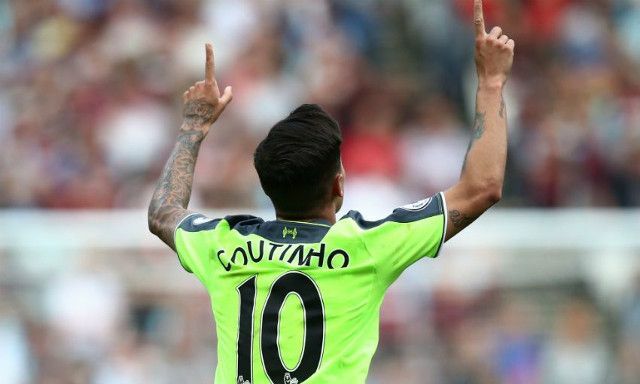 2017/2018 marks the campaign many believe Coutinho will in fact take further strides towards taking his game to a world class level in terms of beginning to dictate games on a weekly basis and winning his team three points single-handedly when called upon. For the sake of his development and at this stage in his career, he needs to be the main man and the figure teammates will begin to turn to in a time of need- someone he is beginning to mould into at Liverpool. Right now, he is going absolutely nowhere.